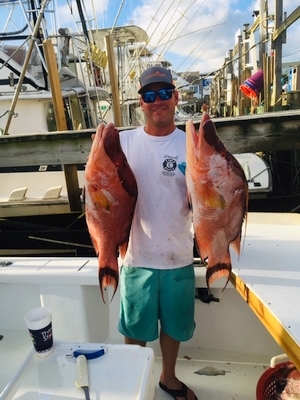 Since 1956, Batson Charter Boats has provided a full service charter boat experience in beautiful Carolina Beach, NC.Whether you are an experience angler, or a greenhorn, we provide the ultimate adventure. Our number one priority is catching fish, and a lot of them! Let over 100 years of passed down and combined fishing experience between Capt. John, and Tommy, provide you with your next fishing adventure!! Equipped with all the latest state of the art fish finding equipment and USCG approved safety gear, Batson Charter Boats provides year round fishing excitement. 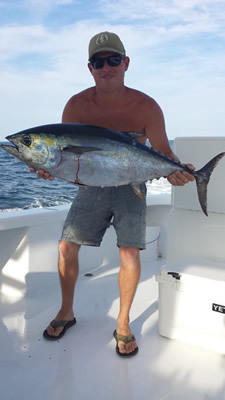 Your one stop for Offshore Fishing in Carolina Beach. Probably one of the most quiet and reserved people you will have ever met, Capt. Doug is where it all began. 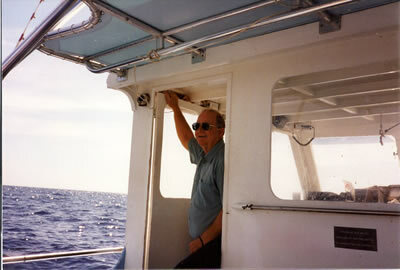 He retired in 2013 after a 57 year career in the charter boat business. While doing what he loved, he and our mother also raised a family of 8 kids. If you're lucky, he'll be waiting at the dock for us to see our catch! Capt. Doug said recently at his birthday, "I wouldn't change a thing about my life, and there is nothing better than fishing and no better place than Carolina Beach!" Don't even know where to start. This is my brother, and best friend. We lost Caleb in a diving accident on October 25th, 2014. Capt. Caleb was the frontrunner of the entire charter fleet in Carolina Beach, leading us in innovation, design, customer service, and his huge catches! Our hearts are filled with sorrow, and he is missed every second of every day by every member of our family. We are encouraged by the fact that he is with his Maker, waiting on us in Heaven! Ask me about him. I love talking about my brother! That's me, and I'm writing this about myself! My favorite thing to do is fish. Watching other people catch fish is even more exciting to me! Since I could walk, boats and fishing with my Dad and brothers has been the priority of my life. Since Caleb went to Heaven, I am carrying on the family tradition, and am running his boat "Cheerio Lady." I look forward to having you join us in making memories!